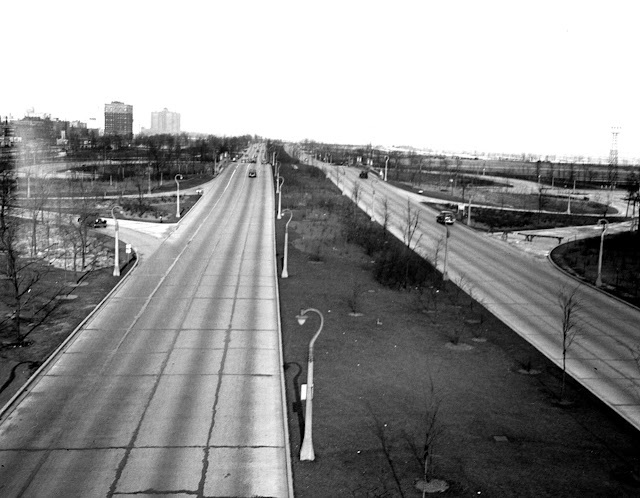 March 22, 1932 – The Illinois Department of Public Works announces that $400,000 of gasoline tax revenue will be allocated for a one-mile extension of Lake Shore Drive from Montrose Avenue to Foster Avenue. Although the land has not been created for the section north of Wilson Avenue, the half-mile section between Montrose and Wilson can begin as soon as weather permits. Plans call for two 40-foot wide roadways with enough land on either side to allow them to be widened to 60 feet. Grade separations will also be built at Montrose with future grade separations at Lawrence and Foster Avenues. This is just one part of a highway program that will see $2,000,000 spent on improving roads across the city in 1932. The above photo shows the new road in 1938 at Wilson Avenue with the completed grade separation. March 22, 1902 – Members of the Western Society of Engineers inspect the cofferdam being prepared for the foundation of the new bridge at Randolph Street. In doing so they examine “the first American test of steel sheet piling, which, it is contended will work a revolution in dock and bridge construction.” [Chicago Daily Tribune, March 23, 1902] Tryggve Larssen, a government surveyor in Bremen, Germany, seems to have come up with the idea for the rolled steel piles with a channel-shaped cross section. [www.chinasteel-piling.com]. The first installation of the new supporting members was in a waterfront structure in Bremen and are still serving their original purpose today. Impressive, isn’t it, that engineers in Chicago picked up on the idea so quickly, and foundries responded with a similar amount of speed? In the case of Chicago with its high water table and sandy soil, it was thought that the new Larssen pilings could save at least a month in constructing cofferdams. 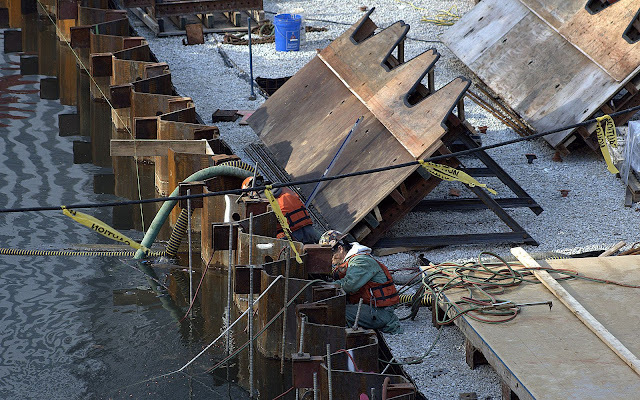 As can be seen in the above photo, the cofferdams created for the extension of the city's River Walk were formed with basically the same engineering as they were back in 1902. March 22, 1955 -- The federal government awards a $507,765 contract for reconstructing the Congress Street arcade through the Chicago post office in a move that will permit extension of the west side expressway through the building and across the river on a new bridge by the fall of 1956. Pathman Construction Company is the successful bidder. The city will pick up another $600,000 of the project. 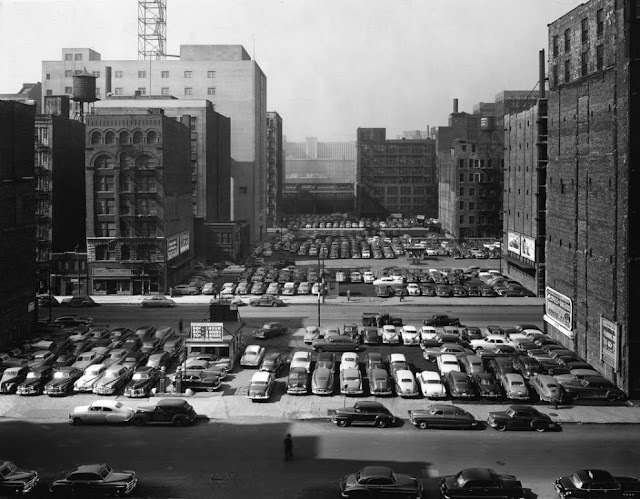 Since 1952 the federal government has spent another eight million dollars altering the post office building so that it can accommodate the new expressway, The post office can barely be seen in the center of the photo above as the area east of the building waits for the construction of what today is the Congress Expressway.